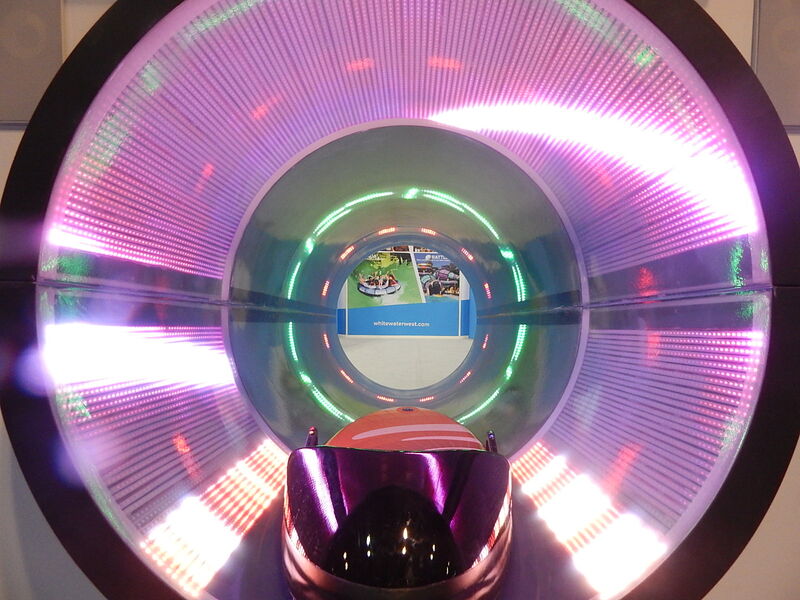 Welcome back to our 2014 coverage of the International Association of Amusement Parks and Attractions expo! I got a chance to meet many of you in person over the past few days and just a quick thank you to those who stopped and took a moment to say hello. It means a lot. I got a chance to do over a dozen interviews over the last few days, but today I’ll going to just give you some highlights from the past few days. 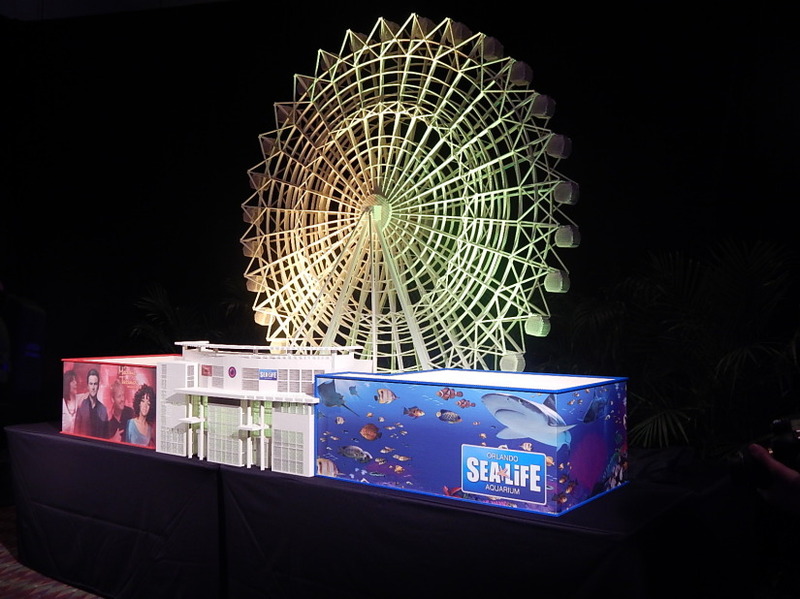 Triotech had a major press conference this week at IAAPA officially announcing their latest partnership with Cedar Fair and their new ride opening in 2015 at Knott’s Berry Farm: Voyage to the Iron Reef. 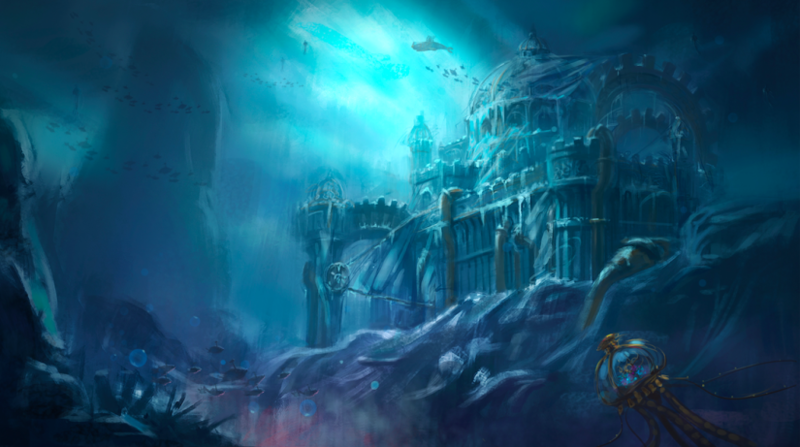 We will be doing a story with the folks at Triotech about Iron Reef closer to the opening, but for now enjoy these images they shared with me of concept art for the attraction. It’s also worth noting Triotech won a Brass Ring Award for the second year in a row, this time for Wonder Mountain’s Guardian at Canada’s Wonderland. 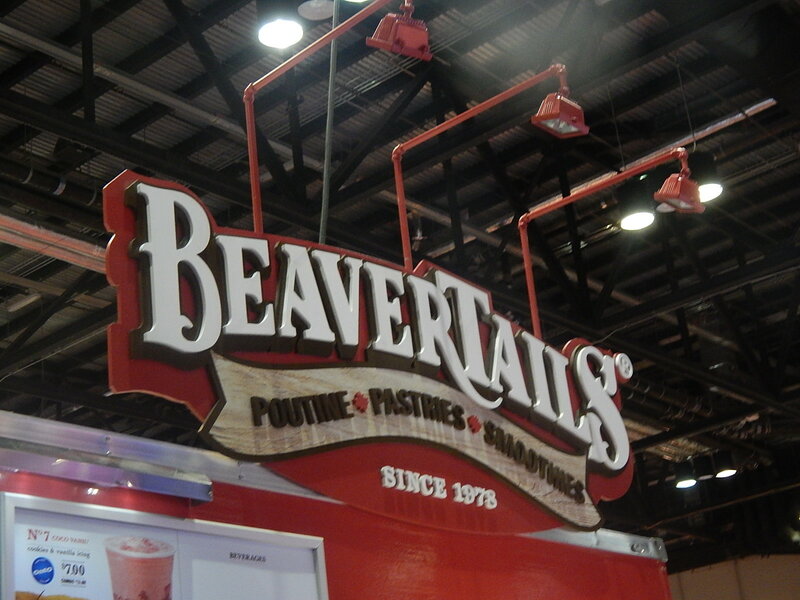 Speaking of Canada’s Wonderland, BeaverTails had a booth at IAAPA this year, which has two stands in the park. If you’ve never had one, it’s kind of like an elephant ear sold at carnivals and fairs. 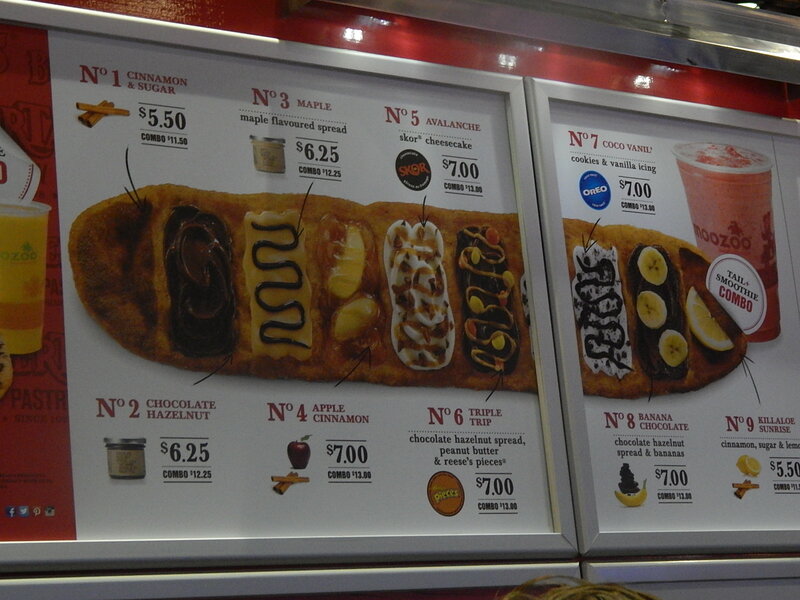 A flat piece of fried dough and topped with anything from cinnamon sugar to maple flavoring. Walt Disney World fans will remember their stand in front of the Canada pavilion at Epcot for eight years! 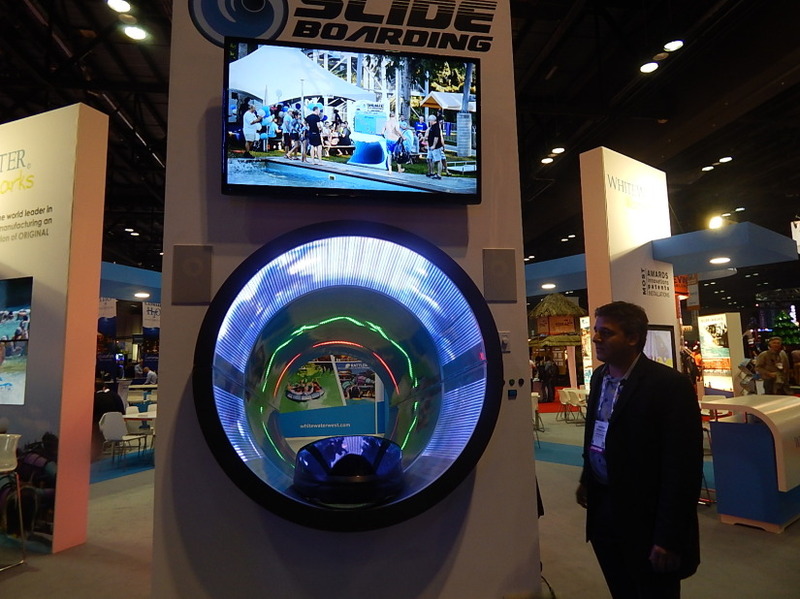 Next up is Slide Boarding, which combines a water slide and a video game. Created by WhiteWater, the flume is lined with LED lights that can be designed to show all kinds of patterns from snowflakes to sponsor logos. Here’s how it works. You’d get the board at the bottom of the slide and set it on a table. On the bottom of the board is an RFID chip that registers the board to whatever user name you choose via interactive kiosk. Once at the top of the slide, it registers the board back to you again. 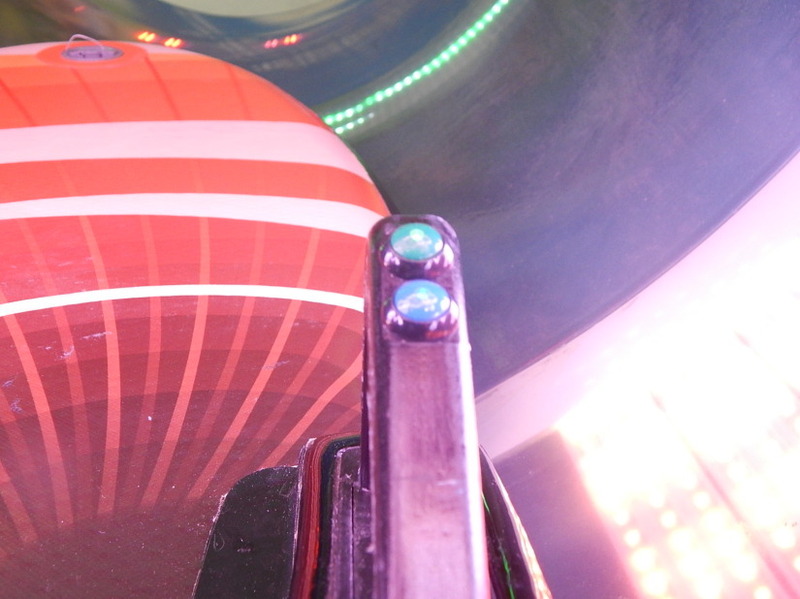 As you travel down the slide, and go through a red LED ring, you hit the red button on the board’s handrails. Blue ring? Blue button and so on. At the bottom, a tv screen will give guests their final score. They can even keep their username and try again. The water park can even store their scores on their website or an app, so you can see how you compare to other slide boarders. Very cool technology. Finally, Merlin had a presentation about all their new products opening around Central florida. This is what the new Legoland Hotel will look like when it opens next year. They are also opening up several attractions on International Drive in Orlando including SeaLife Aquarium, Madame Tussaud’s Wax Museum and the Orlando Eye. All of these have been created in Lego form to be included in Legoland Florida’s MiniLand USA. So many new things coming in 2015! 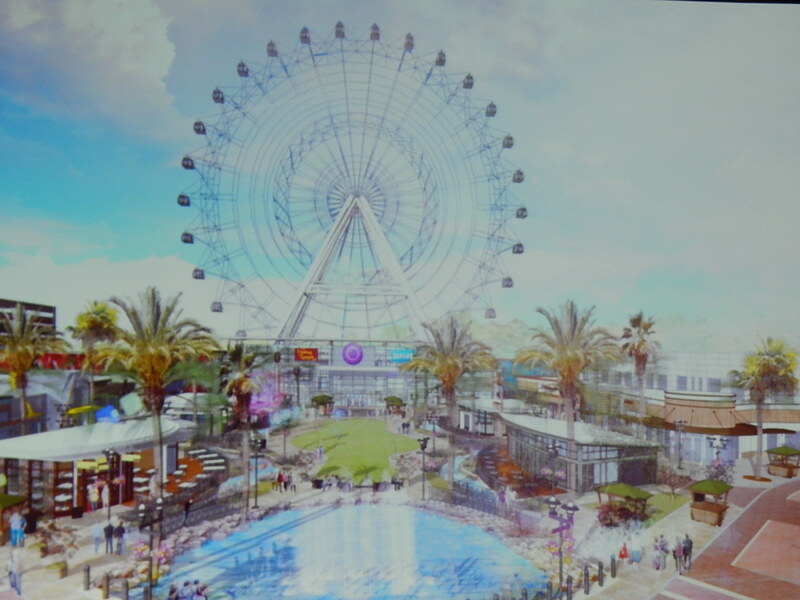 It’s a very exciting time to be a theme park fan! I’ll have many articles coming to you from the interviews conducted at IAAPA in the coming weeks. For now, make sure you like Theme Park University on Facebook and follow us on Twitter! 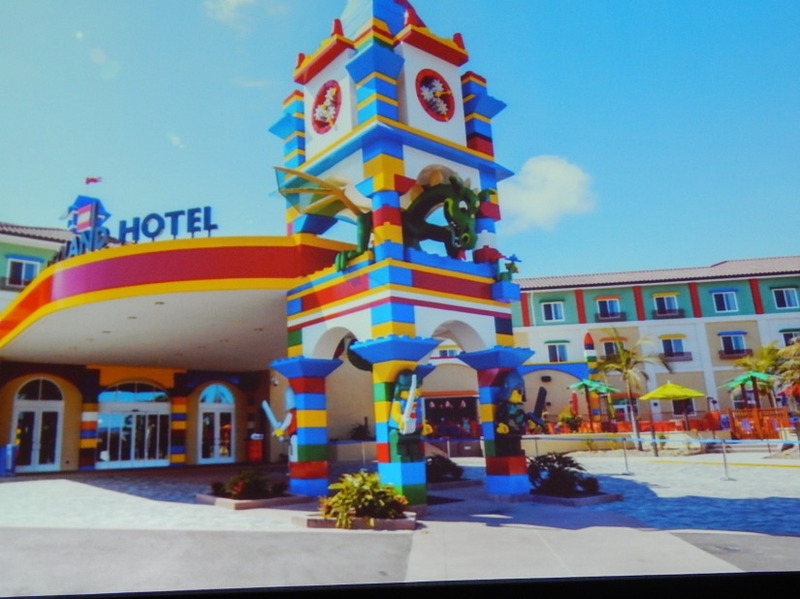 This entry was posted in News, Theme Parks 101 and tagged BeaverTails, Legoland Hotel, Orlando Eye, Slide Boarding, Triotech. Bookmark the permalink. Trackbacks are closed, but you can post a comment.